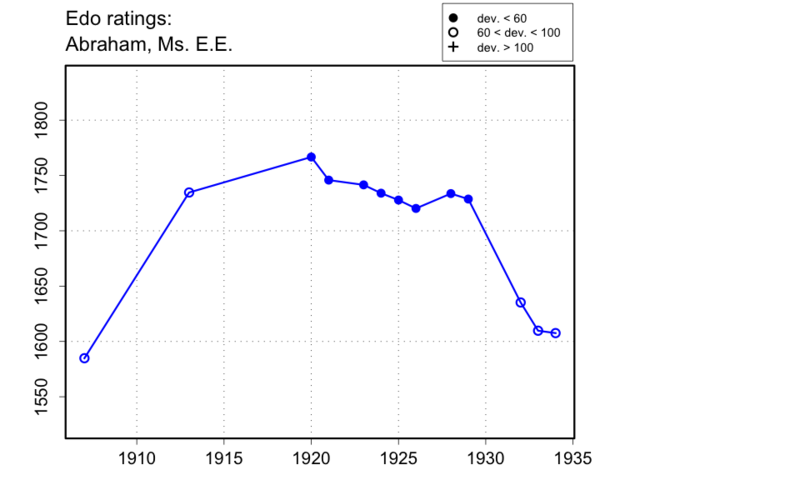 Edo Ratings, Abraham, Ms. E.E. The Manchester Guardian of 23 Aug. 1924 has 'Miss E.E. Abrahams'.